Japan will satisfy you if you just have fun with its nature properly in four seasons. But we neglected those joys at a certain time in the past although it seems so easy to enjoy. The picture is the scenery we can see from the deck of The Museum of Ceramic Art, Hyogo in Konda, Sasayama city, Hyogo. 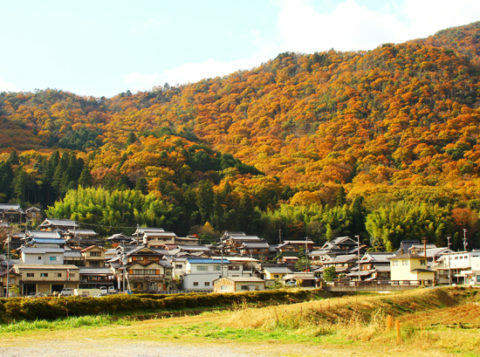 Since the mountains around there has only few coniferous trees, they are covered with full of yellow and red leaves. No charge or a fee needed to enter this deck and also its parking is free!!! Why don’t you visit here…I mean deck… when you visit Sasayama? Of course wonderful ceramic arts are there worth to visit at every exhibition.